As of today, a change has been implemented to our Cabal Bank use. Namely, that Recruiters (Rank 3 cabal members) are able to access the items in our cabal bank to respond to your item requests. We hope that this change will ensure that there is more availability of people who can trade items to you that you request - and that in turn, we have a quicker turn over of great items in our bank. If anyone has any questions about the changes, please get in touch with any of our 9S Leadership team. After a short break over the summer, we are happy to welcome you back to The Sword's Edge! The ABSOLUTELY BESTEST EVER time of the year is upon us - so come and check out our newsletter before all the fun kicks off!! Saunabath joins the 9S Leadership team! After five years of being in Nine Swords, we are excited today to announce that Saunabath has been promoted into our leadership team as the leader of our Roleplaying division. 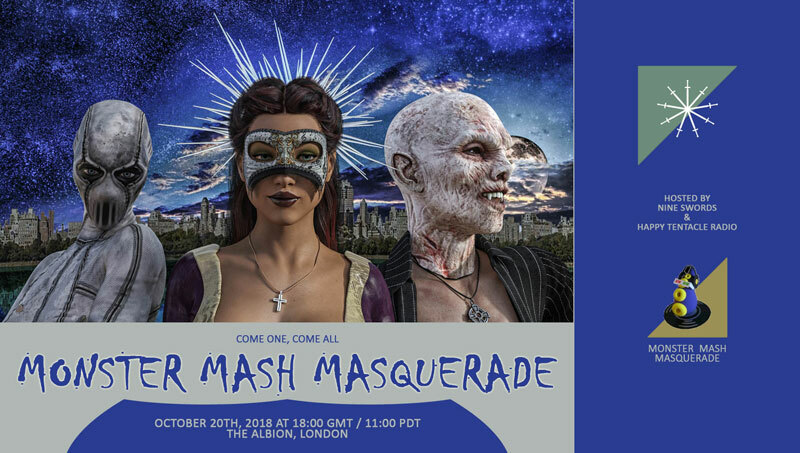 Announcing: Monster Mash Masquerade community social, hosted by Nine Swords and Happy Tentacle Radio, on Saturday 20 October 2018 at 1800 UTC in the Albion Ballroom Theatre! Bring a mask, wear your costume, swot up on your trivia knowledge, and you may be even treated to some intrigue RP. See you there! Easter Bunnies at Asda.. Chocolate Santas at Tescos - well… we are still ramping up for Halloween. Nine Swords will of course be holding a fun social event again this year. 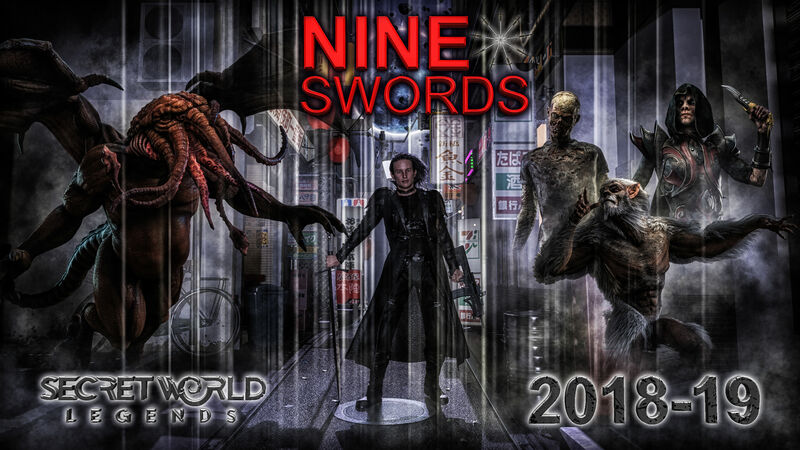 Keep your eyes on our News feed here or follow us on Twitter @Nine_Swords to get the information first! !